VirnetX is looking to squeeze a little more juice from Apple, pressing the company with another round of patent infringement lawsuits. 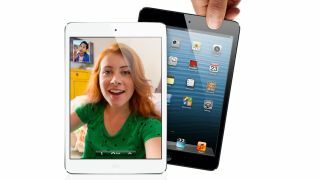 In fact, earlier this week a Texas court ordered Apple to pay the internet security software and technology company $368 million (UK£231, AUD$353) over patent violations involving FaceTime. "We are extremely pleased with the outcome of our suit with Apple," VirnetX CEO Kendall Larsen said in a press release. "This victory further establishes the importance of our patent portfolio." With this new round of infringement complaints coming, VirnetX is further testing the portfolio's worth. The grievances are the same as its last suit, but now VirnetX is targeting the iPhone 5, iPad Mini, iPad 4, iPod Touch 5 and the latest desktop Macs. The company is looking to clean up the devices that were too new to be included in the first round. VirnetX sought $708 million (UK£442, AUD$680) in damages, but had to settle for about half that amount after the court's ruling. The complaint included four networking patents filed between 2002 and 2011 that FaceTime allegedly infringed on. Some of the patents cover: technology that creates a virtual private network between two computers, a protocol for securing communications using secure domain names, and a method that establishes a secure communications connection based on a domain name service request. VirnetX is known for aggressively protecting its patents, going after big tech companies that infringe on its properties. In 2010, it won a $200 million (UK£125, AUD$192) claim against Microsoft. VirnetX is also currently slugging it out with Cisco, Avaya and Siemens in infringement courts. The multimillion dollar settlement shouldn't put too big a dent in Apple's billions in quarterly profits, though the suits could have other ramifications. VirnetX's legal victories could back up claims filed with the U.S. International Trade Commission, leading to possible sales bans on some Apple products. For now VirnetX is looking to take a victory lap in courts and skin a little bit more green off Apple.